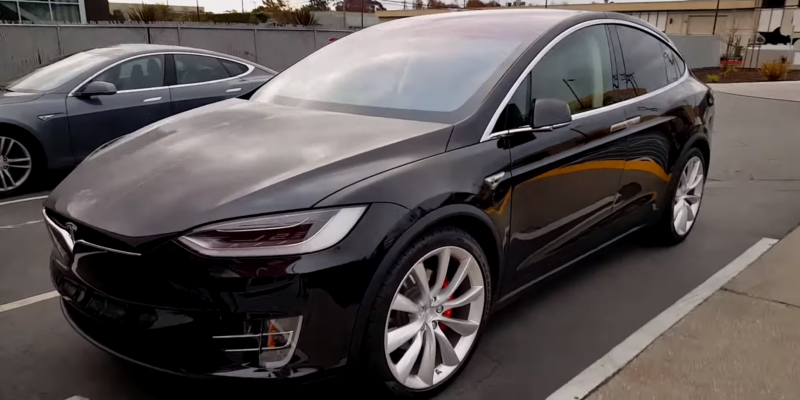 As Signature Model X reservation holders are still patiently (or impatiently) waiting for a delivery date from Tesla, one more Founders series owner managed to get his hands on the all-electric SUV. This time its the #36, a significant jump from the last reported #13 delivered to Venture capitalist Chamath Palihapitiya. Model S owner and TMC user trils0n spotted the vehicle at Tesla’s Burlingame service center in California. He didn’t reveal the name of the new owner, but whoever he might be, he joins a select group of Model X ‘Founder’ owners including NVIDIA CEO Jen-Hsun Huang, Tesla board member Steve Jurvetson and Tesla CEO Elon Musk himself. The owner of Founder’s 36 was very gracious and offered a tour of the car. Didn’t take any pictures of the interior while we were talking, but the inside is great. The front seats are better than the next gen seats in the Model S. All 3 rows had perforated leather, and the perforated leather feels amazing. More room inside than I expected, though headroom might be an issue for 3rd row if you are taller than 6 ft. Much nicer than the next gen seats with premium interior. Nicer than the Nappa leather my early-ish car has (which is nicer than any of the loaners with different versions of leather I’ve had throughout the years). Interior feels much higher quality all around than the Model S, but keeps the same great minimalist styling. Everything looks more finished/refined/polished. The center console cup holders for the 2nd row extend and expand from their hiding spot under the USB ports in a dramatic (for cup holders) fashion. The Falcon Wing doors are super cool and operate quicker than I expected. Getting into the 2nd and 3rd rows is easier than any other SUV I’ve used. The auto closing and opening front doors are sweet as well. You can just pull the handle on the inside and the door shuts, much rapidly than I expected. My photos (and all photos I’ve seen) don’t do this car justice. Just amazing looking in person.